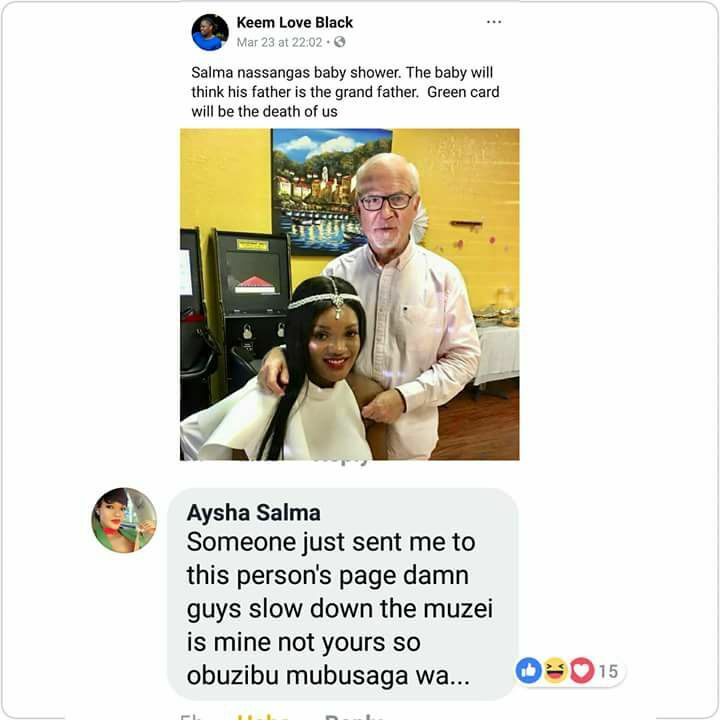 Former Miss Uganda Aisha Salma Nassanga’s husband and baby daddy has again got the internet talking. 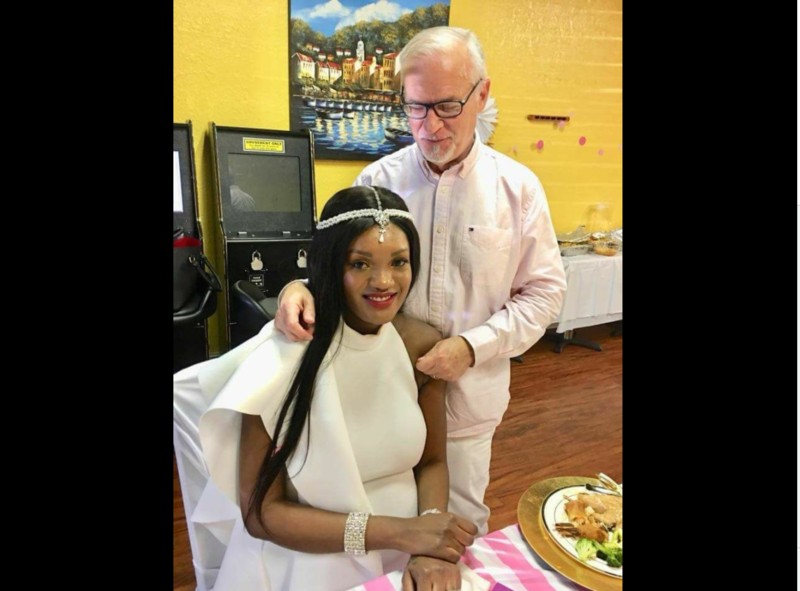 The couple celebrated their first baby shower yesterday, but their photos shared on various Facebook pages caused a stir, with many question Nassanga’s choice of a man. 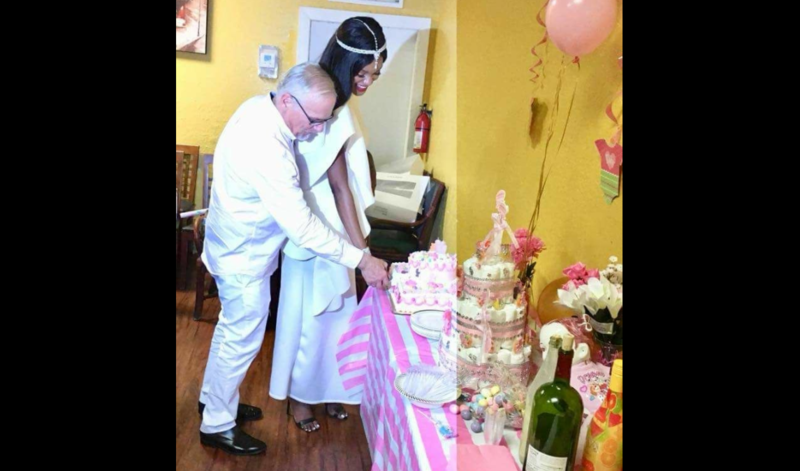 In one post, a Facebook user known as Keen Love black said; “Salma Nassanga’s baby shower. The baby will think that his father is the grandfather. Another user user known as Aziz Ssesanga said: Say her grandpa! Other people who commented on the photos however gave the former beauty queen a heads up, arguing that it’s her life, and hence her choices matter only to her. “If you failed to make your own choices and achieving your dreams, Kindly gather your bones in one corner and celebrate other people’s lives whose struggles and sacrifices you know nothing about! Until you learn how to tame your tongues, you gonna be married to Foolishness till death doeth thee asunder!.” Said a one Mariah Rutz. Like the proverb 31 woman, Nassanga however is ready and armed to defend her man. A screen shot of a post on facebook, shows Aisha Nassanga blasting someone for criticizing her husband. Nassanga who won the miss Uganda pageant in 2013/2014 got married to her Caucasian husband only known as Eric in Miami in 2016. She has since relocated to the US. Upon breaking the news of her marriage to Eric, Nassanga was widely criticized for marrying a man who was old enough to be her father. Many said she wasn’t in love with the old man, but rather there for the wealth. “Love is all that matters! Lucky are those that find a man that treats them like a queen. This man you have labeled a pensioner, a jajja, gwenasimye mubona. He loves me unconditionally and I love him. We choose love. I am a better woman because of my Eric,” she said in 2016, shortly after their wedding.